As hacker's exploits steadily become more sophisticated and take advantage of the subtle vulnerabilities that slip through the cracks, organizations suffer losses. As known vulnerabilities go unfixed and employees exploit flaws, intentionally or unintentionally, organizations are suffering more losses. Organizations need to know where they are at risk so they can prioritize and focus on the changes needed to protect their critical assets. Identify threats so you can decide how much risk to accept. It's impossible to judge how much risk you face if you don’t have a full view into your vulnerabilities. A best guesstimate leaves vulnerabilities open and may be very costly to the organization. A true cyber threat assessment will allow you to understand your risk and how much money is reasonable to invest in countermeasures. Prevent incidents instead of reacting to incidents after they occur. By the time you spot a breach, the intruder has most likely already accessed your valuable data. According to the 2015 M-trends research from FireEye the average time a hacker is inside the network before they strike is 205 days. Prioritize defenses against sophisticated opponents. The days of a bored teenager hacking your network are long gone. Today's hackers are backed by criminal consortiums or governmental organizations. They have the resources to make repeated attempts until they succeed in breaching your defenses. Protect the most sensitive data and assets. A cyberthreat assessment can help you identify the systems that are most likely to be targeted because of their value, allowing you to target your defenses. The Washington Post reported that the hackers who infiltrated OPM earlier this year had access to the agency's security clearance computer system for over a year. Whether the attack comes from nation state adversaries, hacktivists or insiders it is imperative to understand where in the network your most critical assets lie and prioritize the protection around them. 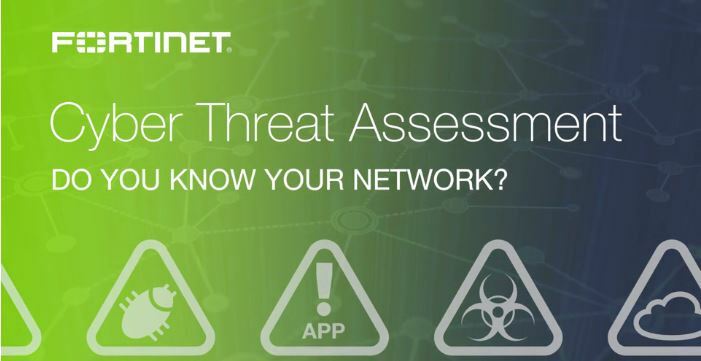 Fortinet, a leading provider of network security products including next generation and internal segmentation firewalls, a secure email gateway, and endpoint security systems, is now providing free security evaluations through their cyber threat assessment services. The service works by installing a FortiGate next generation firewall into your organization’s network. The application traffic is then monitored for malware and other evidence of intrusions and risks against corporate systems and data. After the information-gathering period, a comprehensive Risk Assessment Report is generated. 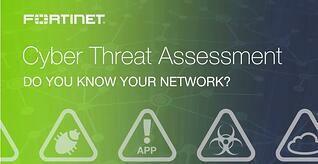 The report analyzes traffic, network utilization, and both security and business risks. The report additionally provides recommended actions to reduce the vulnerabilities and decrease your organization’s risk. Resilient Intelligent Networks is an experienced secured network services integrator and partner of Fortinet who can facilitate your free Cyber Threat Assessment.